Gonçalo SANTOS is an Assistant Professor at the Department of Sociology and the Hong Kong Institute for the Humanities and Social Sciences. Prior to joining the University of Hong Kong in 2013, he was an LSE Fellow in Anthropology at the London School of Economics and Political Science (2007 – 2011) and a Senior Research Fellow at the Max Planck Institute for Social Anthropology in Halle/Saale (2011 – 2013). His work on contemporary China explores new approaches to questions of modernity, subjectivity, and social-technological transformation. Dr. Santos’ research has featured in leading journals such as Current Anthropology, Journal of the Royal Anthropological Institute, Modern Asian Studies, Journal of Family History, and Technology and Culture (forthcoming). He is the co-editor of Chinese Kinship (Routledge, 2009) and Transforming Patriarchy (U of Washington Press, 2017). 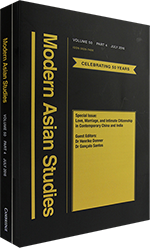 He is also the co-editor of “Love, Marriage, and Intimate Citizenship in contemporary China and India” (Modern Asian Studies, 2016). His second monograph — entitled Intimate Modernities. Reassembling Love, Marriage, and Family Life in Rural South China 1970s-2010s — is under contract with the University of Washington Press. It will be the first ethnography of a South Chinese rural community based on two decades of longitudinal research. 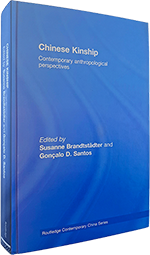 His first monograph proposes an original account of the history of anthropology, racial science, and imperialism in Western Europe, reflecting his interdisciplinary training in socio-cultural anthropology and social studies of science and technology. Dr. Santos’ research has received grants and awards from the American Council of Learned Societies, British Academy, Fundação para a Ciência e Tecnologia, Hong Kong Research Grants Council, Max Planck Institute for Social Anthropology, Max Planck Institute for the History of Science, among other organizations. Under Contract. Intimate Modernities. Reassembling Love, Marriage, and Family Life in Rural South China 1970s-2010s. Seattle, Washington: University of Washington Press. 2005. A Escola de Antropologia de Coimbra, 1885 – 1950. 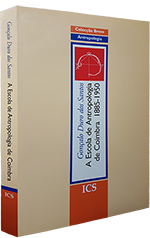 (The Anthropological School of Coimbra 1885-1950). Lisbon: Imprensa de Ciências Sociais, Pp.232. 2018 “Technological Choices and Modern Material Civilization. Reflections on Everyday Toilet Practices in Rural South China.” In Anthropology and Civilisational Analysis. Edited by Johann Arnason and Chris Hann. New York: SUNY Press, pp. 259-80. 2017 “Love, Family, and Gender in 21st Century China.” In Kirsten W. Endres and Chris Hann (eds. ), Socialism with Neoliberal Characteristics: Social Support and Kinship in China and Vietnam. Halle, Saale, Germany: Max Planck Institute for Social Anthropology. 2017 “Multiple Mothering and Labor Migration in Rural South China” In Gonçalo Santos and Stevan Harrell (eds.) 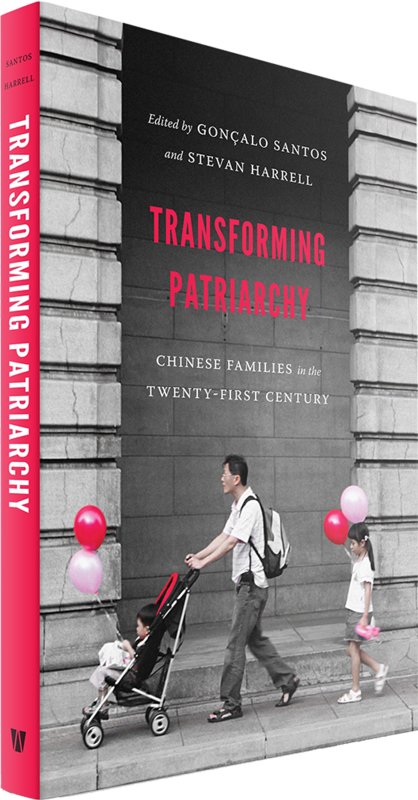 Transforming Patriarchy: Chinese Families in the 21st century. Seattle, Washington: University of Washington Press. 2016 “On Intimate Choices and Troubles in Rural South China.” Modern Asian Studies 50 (4): 1298-1326. 2013 “Technologies of Ethical Imagination.”In Charles Stafford (ed.) Ordinary Ethics in China Today. London: Berg (LSE Monographs on Social Anthropology Series). 2011 “Rethinking the Green Revolution in South China: Technological Materialities and Human-environment Relations.”East Asian Science, Technology, and Society: An Interdisciplinary Journal 5 (4): 477-502. 2010 “On ‘same-year siblings’ in Rural South China.” In Amit Desai and Evan Killick (eds.) The Ways of Friendship: Anthropological Perspectives. London: Berghahn Books, pp.20-45. 2010 “L’Agriculture ‘Traditionnelle’ Chinoise est-elle Verte et jusqu’où?” In Thierry Gaudin & Elie Faroult (eds.) L’empreinte de la technique. Ethnotechnologie prospective (Cerisy 2-9 Juillet 2009). Paris: L’Harmattan, pp.117-39. 2009 “The ‘stove-family’ and the Process of Kinship in Rural South China.” In Brandtstädter, Susanne, and Gonçalo Santos (eds.) Chinese Kinship: Contemporary Anthropological Perspectives. London and New York: Routledge, pp.112-36. 2008 “On ‘same-year siblings’ in Rural South China”. Journal of the Royal Anthropological Institute, 14 (3): 535-553. 2006 “The Anthropology of Chinese Kinship: A Critical Overview.” European Journal of East Asian Studies, 5 (2): 275-333. 2006 “Os ‘camponeses’ e o ‘imperador’. Reflexões etnográficas sobre orizicultura intensiva e estratificação social no Sudeste da China.” (The ‘peasants’ and the ‘emperor’: Reflections on intensive rice cultivation and social stratification in Southeastern China) Etnográfica, 10 (1): 41-70.